This event is huge! Every year thousands of people attend the SGIA Expo which highlights the newest and upcoming advancements in the digital graphics industry. 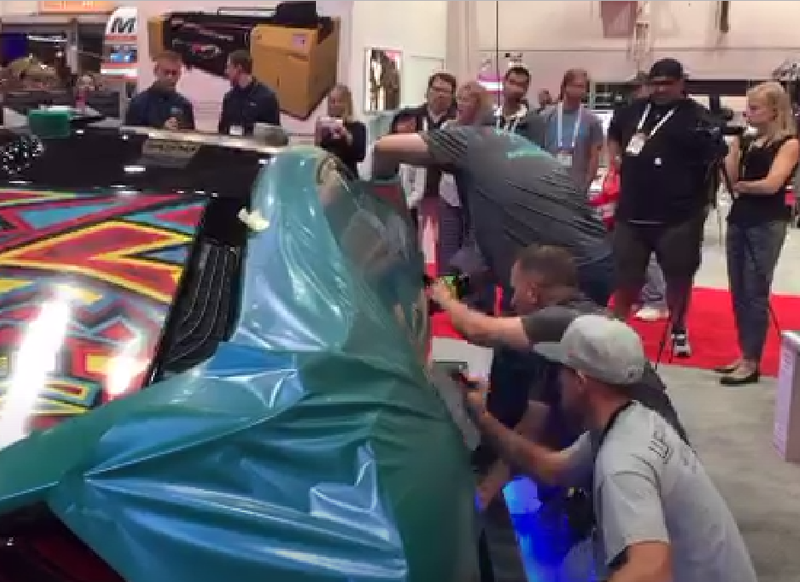 The event took over the Las Vegas Convention Center with the trades most qualified personnel attending as well as owners and employees of shops all over the nation in hopes of being the first to see as well as purchase the next best machines and products. 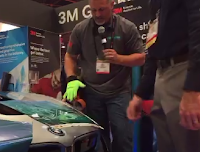 Two members of the Fast-Trac Designs team took part in the expo at the 3M Graphics booth.They had the opportunity to wrap a vehicle on site with the newest materials that have just been released for sale. 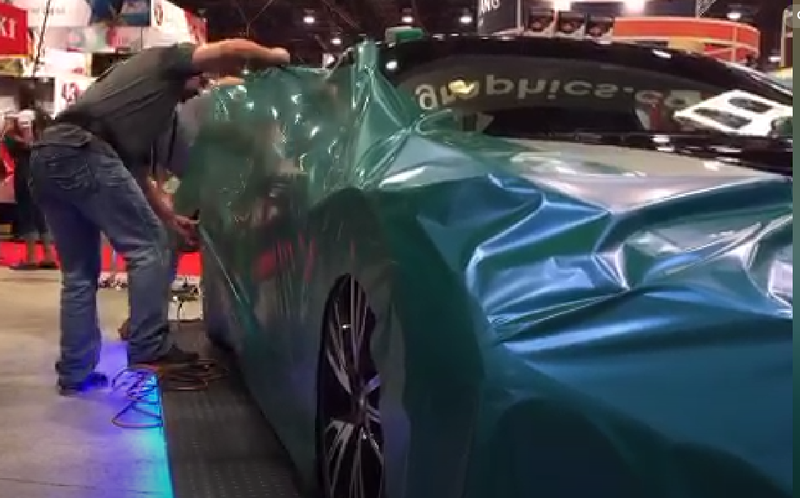 One of the most anticipated 3M vinyls that was used was the color flip 1080 film.This film will appear one color then at certain angles it flips to another color. We expect this to become a popular choice for color change wraps. Another feature that the expo offered was several educational classes to help educate new business owners on what products may be best for them and how they work, with hands on learning available. It is great to be a part of an industry where people are aided for success and with the SGIA Expo having more than 200,000 attendees you can definitely expect the industry to grow and the technology to continue expanding to create the most unique digital printing capabilities. Fast-Trac Designs looks forward to the 2017 SGIA event and what could be the most anticipated product next year? we can't wait to find out. 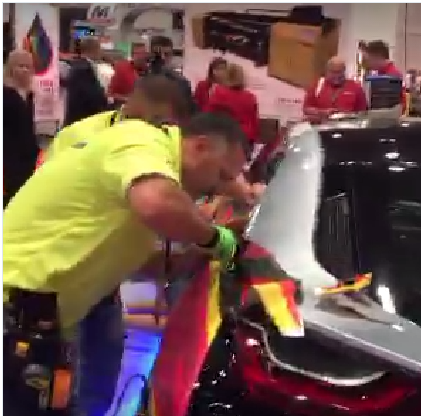 See our team members in action at SGIA by clicking the links below. Learn more about Fast-Trac Designs HERE. Learn more about the SGIA Expo HERE. It seems that there is a new trend becoming popular and even having it's very own events. 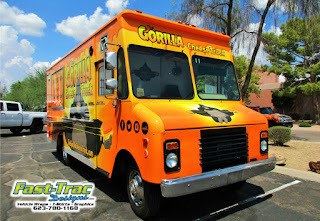 Yes, the food truck business has grown so much almost every weekend there is a destination that crowds of people flock to just to try different food trucks. The mobile restaurants park and let the profit come to them. Here at Fast-Trac Designs we are fond of a particular food truck that we provided our vehicle wrap services to. 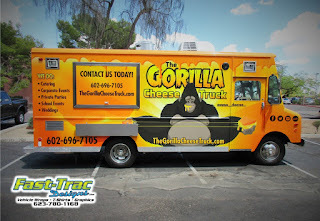 The Gorilla Cheese Truck is becoming well known for their gourmet grilled sandwiches and with their brightly colored wrap they are sure to attract a ton of business. 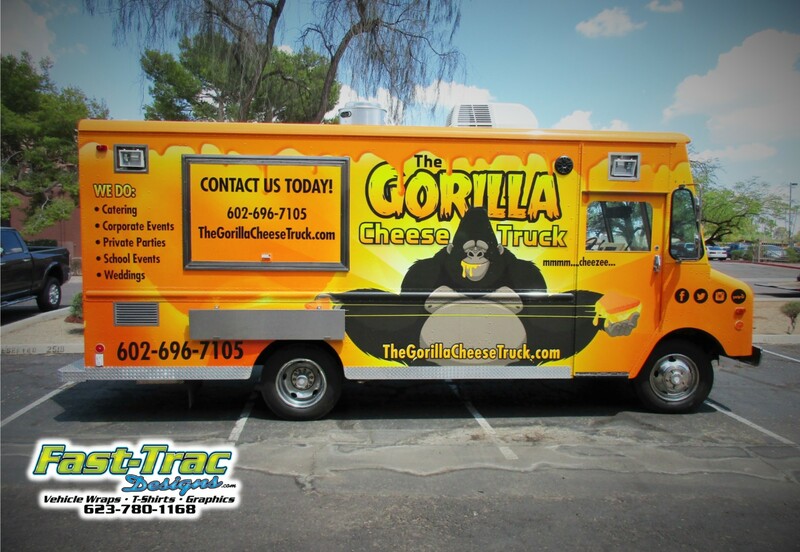 We do recommend giving The Gorilla Cheese Truck a try, visit their website to see where they will be next. 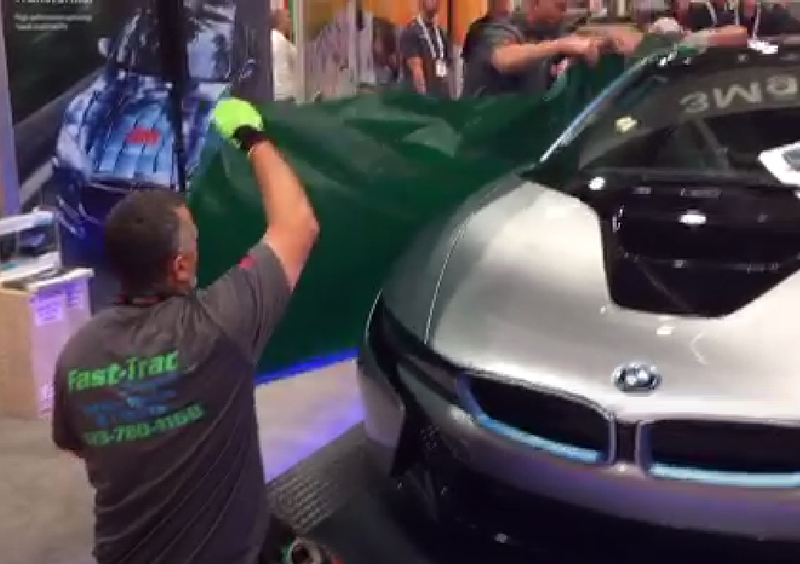 For any vehicle wrap services contact Fast-Trac Designs HERE.